Hey everyone I’m back again this week posting finished artwork to https://joedichiara.wordpress.com. Yesterday I posted finished character art for my second illustration in the “Hip-Hop Beef” series. 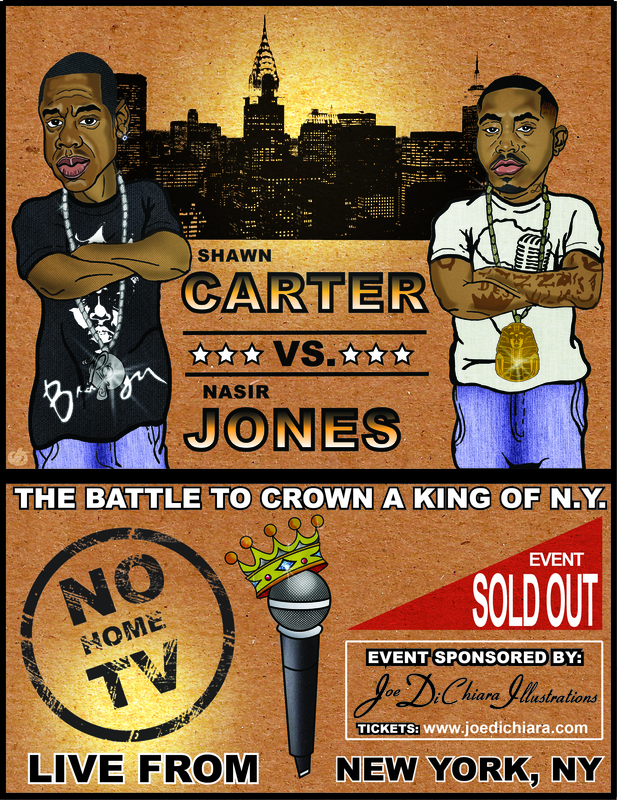 So here it is the finished poster for “Jay-Z vs. Nas”! Below I have posted a video for your enjoyment that details this infamous “beef”. Be sure to log back onto https://joedichiara.wordpress.com to http://www.joedichiara.com for the next piece from the series.